Certified pre-owned vehicles are available from basically every automaker. That said, not all certified pre-owned vehicles and certified programs are created equal. 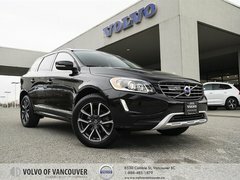 Come to Volvo of Vancouver today and find out everything our certified pre-owned vehicle program has to offer. 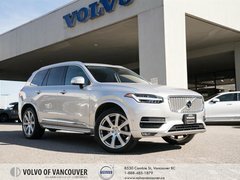 There are plenty of advantages that come with every certified pre-owned vehicle we offer for sale at Volvo of Vancouver. These benefits are designed to give you more value, ensure peace of mind, and also ensure that the certified pre-owned Volvo vehicles will exceed your expectations when it comes to reliability and dependability. Come in today and learn more about all of the advantages that come with certified pre-owned Volvo vehicles. In order for a vehicle to be considered a CPO vehicle by Volvo, it has to pass a detailed inspection that covers every aspect of the vehicle. This inspection includes the vehicle’s major mechanical components, all of its exterior body panels and its interior as well. The end result is a vehicle that is free of major mechanical defects, performs the way you expect a Volvo to perform, and stands out when it comes to its reliability and durability. Once it passes the inspection, the Volvo certified pre-owned vehicle gets a comprehensive and generous six-year or 160,000-kilometre warranty that starts from the very first in-service date. In other words, you are covered and protected from any unexpected problems with your new Volvo CPO vehicle. 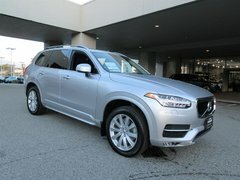 There’s also a wide range of other advantages that come with Volvo certified pre-owned vehicles. Let’s take a closer look. When you buy a Volvo certified pre-owned vehicle, you will also get 24-hour roadside assistance all over North America, and any warranty visit at Volvo of Vancouver comes without a deductible. There’s also a CarProof Vehicle History Report with every CPO vehicle so that you know where the Volvo model has been. 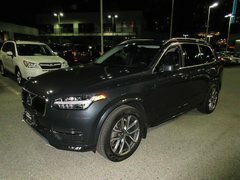 Moreover, there are attractive interest rates on all Volvo CPO vehicles which means it's more affordable than you'd think to purchase the Volvo certified vehicle of your dreams. 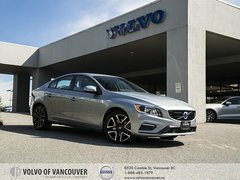 Come in today and discover our wide range of Volvo certified pre-owned models at Volvo of Vancouver. We look forward to helping you and providing you with the expertise you want when buying your next vehicle.